The Terrace car park in Morpeth. The loss of car parking spaces in an important Morpeth town centre location would have a significant impact, it has been claimed. As part of its plans to raise extra income, Northumberland County Council has put the Riverside site on the market. This includes the current location for the library, the Willows, Beechfield and Bungalows buildings and The Terrace car park between the library and St George’s Church. Traders have said this week that any new development must have the same number of spaces currently available at the site. A campaign led by Coun David Clark is currently on-going to try to save the frontage of the Willows and he will now add the car park. He said: “When I first heard of the car park being up for sale, I thought it was a joke. “Everyone who lives in and visits Morpeth knows that we have a shortage of parking spaces and with the building of 2,000 new homes, it’s set to get much worse. 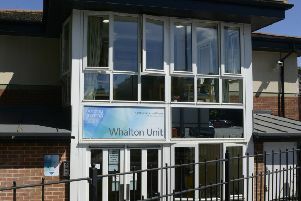 The county council said last week that the income and savings in running costs from selling buildings it no longer needs will help it to protect frontline services. John Beynon, a senior member of the Morpeth and District Chamber of Trade, said: “Local traders have been in talks in good faith with the county council about extending parking provision on this site as recently as last week, so this declaration was completely out of the blue.